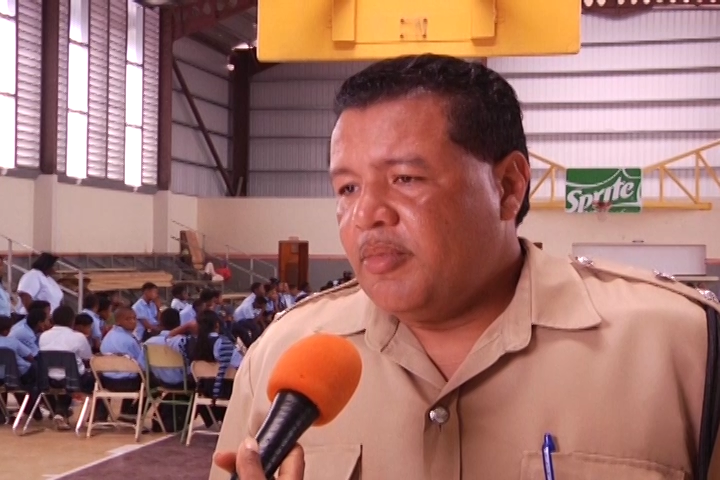 Police Officers attached to the Eastern Division South in Belize City should soon begin to see a number of new benefits coming their way. The improvements include better working environments and lowered expenses, especially for officers who commute to and from Belize City. The changes are being implemented by Commander Howell Gillett, who since taking over command of the area has been making his rounds in the City enlisting the support of the business community to curb the crime situation and to also improve the working conditions of officers attached to his division. Today, Commander Gillett announced that these officers will be enjoying between six to ten percent discount on fuel prices, an agreement he successfully struck with UNO gas station after a meeting with the company’s Sales Consultant Lupita Zetina. Commander Gillett says it is all in an effort to help officers cut down on expenses and enjoy more of their salary. Reporter: Is there a limitation to how often they can access this service for the day or per week? Officers in the Southside division in Belize City will be able to enjoy this deal as soon as next week. The Commander also adds that in a few days, work should begin on replacing tents currently used by officers in the Southside booths. Next article How are the criminals accessing the weapons?